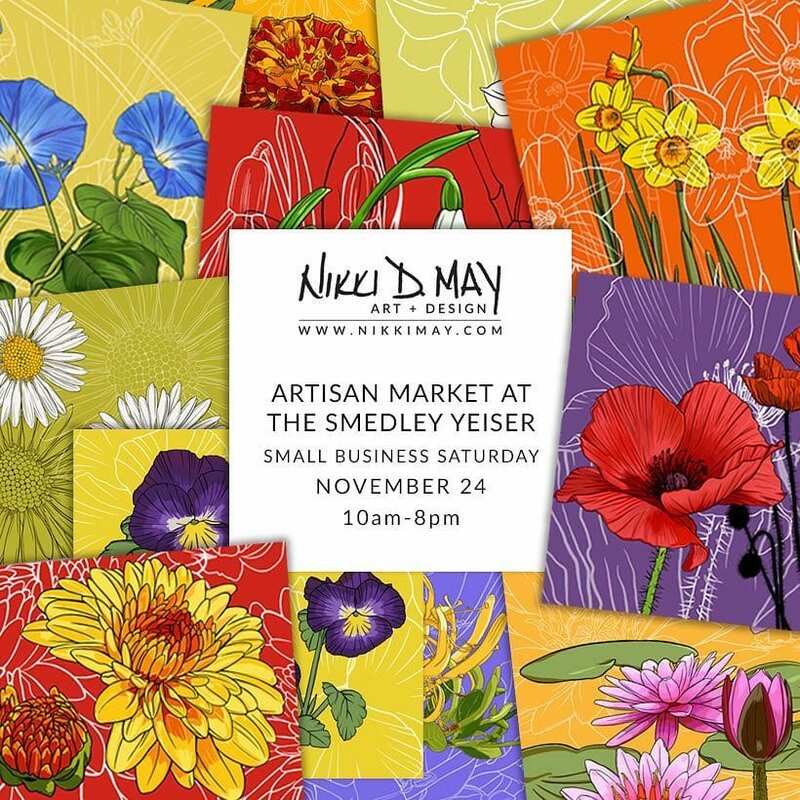 I will be at the Smedley Yeiser tomorrow for Small Business Saturday with all of these beautiful flowers! I will have calendars, prints in two sizes (4×4 and 8×8, pillows with these beauties on them. I’ll also have a big selection of prints and original drawings of my nudes and a handful of other goodies! Come see me and a bunch of other talented local artists and Shop Small! I am an artist and designer from Paducah, Kentucky. I spend my days drinking too much coffee and trying to save the world from bad design. I really just want to draw pretty pictures. FREEBIES, DISCOUNTS + UPDATES, OH MY! Sign up for my email list for free monthly wallpapers, occasional downloadable freebies, discount codes and more. I promise not to overload your inbox! Thanks! Stay tuned for updates. I just want to draw pretty pictures... and I want you to have them! Sign up for my email list for free monthly wallpapers, occasional downloadable freebies, discount codes and more. You're in! Check your email in a minute to get this month's downloads and see what else I'm up to. I respect your privacy and promise to never sell or spam your email address.